It’s that time of year to celebrate the school you’re attending! Homecoming is special occasion that welcomes back alumni, and joins them together in fall festivities, such as football games, rallies, recitals, and of course, dance! If you are attending your school’s Homecoming dance this year, it is likely that you are already on the hunt for that perfect dress. However, sometimes you find the perfect dress, but not the perfect fit. If this happens, you can always have it altered for a custom fit! 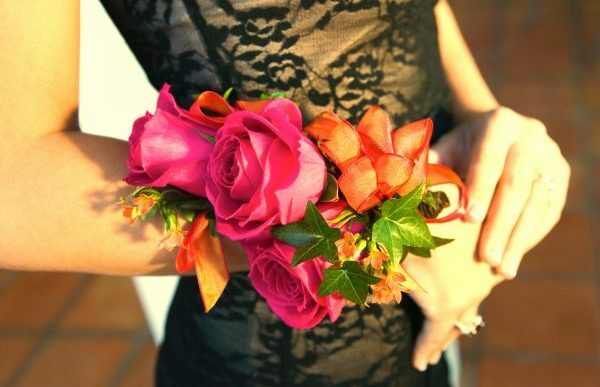 Continue reading to learn some important tips for altering a Homecoming dress. Unless you are an experienced seamstress who’s confident in your ability to tailor formal wear, you should not attempt your own alterations. You would be surprised to learn just how complex sewing and tailoring can get; there is much more involved than just sewing a few hems. This is especially true for Homecoming and school dance dresses since they are often embellished with delicate fabrics, ornaments, baubles, beading, sequence, and appliques. Instead, entrust all your formal wear alteration needs to a professional Indianapolis alterations shop with decades of experience. If you need to have your dress altered, be sure to act fast. Dress alterations take some time, so it is important to have them done a couple weeks before the big dance. Timelines vary depending on the extent of alterations and the complexity of the job. On average, you can expect your alterations to take anywhere from 36 to 72 hours, more or less. If you have a set budget for a Homecoming dress that will also need alterations, be sure to add in all costs before spending all your money. Dress alterations vary in price, and depend on various factors, such as the difficulty of the alterations, the type of fabric, and more. On average, dress alterations cost between $150 and $300. Keep alteration expenses in mind before making a final decision on a dress. If you are having the hem adjusted on your Homecoming dress, it is very smart to wear the same shoes you plant to wear at the dance when you are being measured. This is especially important for long gowns and ankle length dresses. If you fail to do so, you can end up with a flooded-ankle look, which is most unappealing when not deliberate. Indianapolis Dress Alterations You Can Trust! 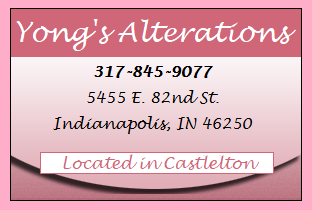 Call Yong’s Alterations at 317-845-9077 for prom and formalwear alterations in Indianapolis, Indiana. We offer a wide range of alterations for women, men, children, and home décor. But we specialize in wedding alterations! From table cloths and curtains, to wedding dresses, bridal gowns, tuxedos, Halloween costumes, and more, we have the experience and skills to deliver outstanding results in a convenient time frame. Request an estimate for Indianapolis alterations, today! This entry was posted in Formal Wear Alterations and tagged Dress Alteration tips, formalwear alterations, homecoming dress alterations Indianapolis, homecoming dress tips, Indianapolis alterations shop. Bookmark the permalink.